Founder of Soul Evolution center and LBT co founder, Katy Simmone brings us her advanced spiritual gifts and insights . "Live your life from the inside out" has become her well known message, and she shows us how to do just this, and evolve into our best possible life. First Degree - Reiki I Certification. In a Reiki I certification, you will learn how to do Reiki on yourself, directly on others, children and pets. You will learn the hand positions series and also receive a Reiki attunement. We all have been prewired to have access to Reiki; however, it lays dormant in our system until we receive an attunement from a Reiki Master. The attunement process enables you to permanently open and connect to the universal Reiki energies. It also clears and balances many important energy channels, including chakras within the body. Second Degree - Reiki II Certification. In a Reiki II certification, you usually learn three powerful Reiki symbols to amplify the energy healing. This includes the symbol for the physical level, the symbol for the emotional level and the symbol to send Reiki long distance to people, places and events. These symbols have many other practical and useful applications. They can be used to bless your food and water, clear yourself and physical spaces, and clear and charge your crystals. In Reiki II, you also receive another powerful Reiki attunement for energy healing on an emotional level. Third Degree - Reiki III Master/Teacher Certification. In a Reiki III certification, you learn how to pass attunements yourself and two more additional Reiki symbols. You will receive another powerful Reiki attunement for energy healing on a spiritual level. Your title is denoted as Master. When you have obtained the confidence needed and experience, you will be able to teach Reiki to others and pass attunements. Learning how to do attunements will not only be used for Reiki students during certification courses but can be passed to those who are critically ill or in hospice. About a Reiki Session. A private Reiki session is typically 30 to 60 minutes. The receiver lies clothed on his or her back on a massage table or in a chair. It is best for the receiver to be in a meditative, relaxed state, with eyes closed and to embrace the process. The practitioner places their hands in various positions over the body where the organs, glands and chakras are located from head to foot. Practitioners may also use mental visualization, including colors, to send healing energy to the receiver. The practitioner's hands may be held just above the body without touching it, and the Reiki energies beamed to the recipient. Practitioners may use their intuition to determine which areas of a body need the most energy healing. Crystals, aromatherapy oils and sound healing, through crystal bowls or tuning forks, may also be integrated into the session. What the Receiver May Feel During a Session. During the session, depending on the sensitivity of the receiver, sensations of warmth or cold, pressure changes, tingling, seeing images or memories, or seeing colors behind your closed eyes may be experienced. If you experience any of this, simply observe it in a neutral way and know that it is part of the energetic healing process and safe. Because the Reiki works on your energy field and may work on conditions that have not manifested yet in your physical body, you may feel sensations in areas of your head & body that you did not even think you had healing issues with. This is perfectly okay. It is also normal not to experience any sensations as well. Many people experience deep relaxation & fall asleep during the session. After a Reiki Session. Immediately after a session, people feel at peace and have a sense of well-being. Some people experience instantaneous relief in certain area. For others, it is more subtle. Some people may need multiple Reiki sessions over time depending on their specific situation. Directly after the session, you should “lay low”, relax, and avoid crowded areas and overstimulation. It is important to stay properly hydrated with water, rest and eat wholesome, preferably organic, in the days following the session. You may still be “releasing” or “detoxing” after the Reiki. You may experience unusual dreams or memories from your past may surface for release. This is normal and part of the energy healing process. Note them and use these to further understand yourself and your life. Importance of Reiki. Reiki should be an integral and regular part of everyone’s life for energetic hygiene, balance and maintenance. Good energetic health correlates to good physical health. Reiki enhances your state of mind. Even short durations of Reiki of five to ten minutes will be beneficial. At the minimum, a monthly Reiki session is recommended to keep your energetic body tuned up, replenished and refreshed. Upon learning Reiki I, you can do Reiki daily on yourself. Katy Simmone is a psychic life adviser, providing life wisdom from beyond. She is founder of Soul Evolution Center in Boca Raton, Fl., http://soulevolutioncenter.com/ . Its mission is to help you evolve into your best life. 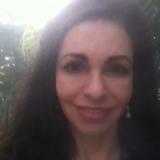 She is an advanced channeler, Reiki Master, evolution coach, light & energy worker & speaker. Katy had a spiritual awakening in the Spring of 2009. From that, she experienced extraordinary and psychic phenomena and developed heightened extrasensory perceptions. She has been having amazing experiences such as participating in spirit crossovers, out of body (OOB) experiences, receiving messages from light beings that exist in different dimensions, including the angelic realm & beings in spirit, interacting with extraterrestrials and other psychic phenomena. Katy developed extrasensory perceptions, including the ability to receive information telepathically.She developed the six “clairs” – clairvoyance, clairaudience, clairalience, clairgustance, claircognizance and clairsentience. To date, Katy has channeled over 16 interdimensional beings of light and love. Some of these include Mr. Edgar Cayce, Ghandi, and the Archangels. She has been guided to chronicle her awakening adventures and shares beautiful inspirational and technical channeled messages in her website blog and on the Facebook page for Soul Evolution Center LLC. She is unique in that she does direct voice channel. In a very light trance state, she channels directly, word for word, guidance from high level beings such as Mr. Edgar Cayce or her own group of guides, The Channel of 5-8, to answer people's life's questions. It is as if they are directly talking to you through her. They act as gracious and compassionate teachers & high level advisers. Readings, evolution coaching and all services can be booked online at her website. Sessions are available by phone/Skype/email and in-office. You can listen to Katy's direct voice channelings as she shares samples of them on her website. Her website also has free gifts and free readings.